Some methods you've heard of offer no relief from lower back pain. 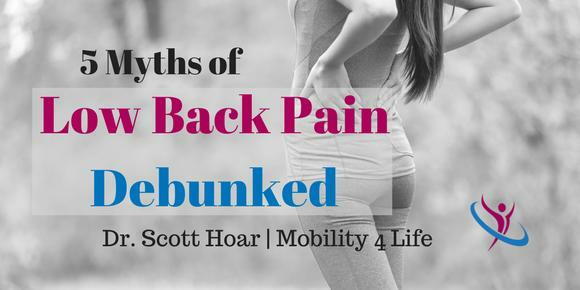 There is so much information out there about lower back pain that, frankly, it can get confusing. Is this pain sciatica? Should I be sleeping on my side? My back? Will running help? The reason for this post is to de-bunk the information out there that will not help you in finding relief from lower back pain. This is the greatest over simplification I hear about lower back pain. While there is some truth that stiff hips can contribute to stress on the lower back, stretching the hamstrings isn't typically the best way to get it done. Many times when people try to over-stretch the hamstrings they'll end up making the pelvis excessively flexible (excessive pelvic tilting) which will increase strain on the lower back. So, the very strategy that you're trying to use for relief will end up beating up your lower back even more. For years it's been "common knowledge" that sleeping on the belly is bad for the back. Which is true...for a small percentage of the population. Sleeping on your belly can lead to a spinal column posture based towards extension. For some people, this will aggravate lower back symptoms. In my experience, for a higher percentage of the population extension will actually protect the vertebral discs throughout the night. The belief that sleeping on your belly is bad came about because many people noticed that their back pain was worse upon waking. That is VERY VERY common. If you have injured or inflamed discs in your spinal column, the natural decompression that occurs throughout the night as we sleep can lead to excessive motion and irritation of the discs and happens whether you sleep on your belly, back, or side. So, a good rule of thumb is to test yourself: while awake, lay on your belly for 5 minutes. Does that hurt? Then don't sleep that way. If it doesn't, feel free to go for it. When corporate wellness companies have done research on employees and low back pain they've come to a great realization--the quicker that one gets back to work, the less likely they are to have chronic pain. Conventional wisdom would have you believe that less activity would give you an opportunity to heal. Unfortunately, that's not what really happens. Finding pain free corrective exercises to help stabilize and control your spine are the quickest way to finding relief for your lower back pain. For some examples that might help you, click here. I'm a huge fan of yoga. I'm a huge fan of Pilates. Both of these forms of exercise lead to proper movement patterns that help to decrease future possibility of injuries. If you haven't tried both of these, you should. Having said that, they are not "pain-oriented." When you're looking to recover from injury, it's important to diagnose the movements that lead to pain, then re-engineer your movements using therapies and specific exercises to allow the tissue to heal and increase stability and control to the spine. General yoga and Pilates classes, even with a talented instructor leading the way, can lead to excessive, harmful flexibility in regions like the lower back and pelvis. Yoga and Pilates should be pain-free forms of exercise. Ugh, I can't stand this one! Whenever I see an construction or industrial worker that is wearing a back brace all day long, I cringe. Your spine needs to have stability and control when you move your body. When you don't have that, you will be in pain. Wearing a brace will provide artificial stability and control, which feels better in the short term. But your spine and your core needs to learn how to provide that at all times, without you thinking about it. Lose the brace! Stabilize your own spine. To wrap this up, it's important to understand that the ability to stabilize the spine and limit excessive motion while being able to move the rest of our body is the goal. Basic exercises that help you encourage spinal stability, and hip/shoulder flexibility are recommended on a daily basis. If you need help figuring out which exercises are right for you and you can't find them on this website, please contact your local movement based medical provider. Good luck and take care!